Aston Martins are just really cool cars. Anyone else notice the license plate? @ Viking: I forgot about "Thunderball" I's been a long time since I've seen an old James Bond movie. 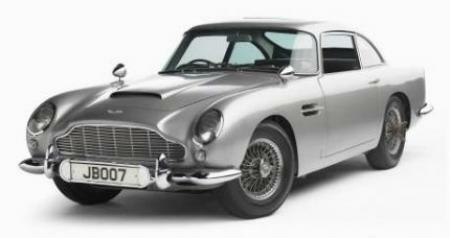 This is simply the best looking James Bond car. @ Guffy: You're not the only one, lol. @ Ferrari Driver: James Bond rocks. Wait james bond has same initials as justin bieber? what a disgrace! You should put James Bond music on this page.